As the northern hemisphere says goodbye to the final month of fall and gives thanks for architecture’s splendid (and fulfilling) beauty, the time is ripe for revisiting a selection of canonical projects that look their grandest during “leaf peeping” season. Either the brilliant reds, oranges, browns and yellows of the foliage echo the natural colors of the project’s materials or the reflective properties of ample glass magnify the natural phenomenon. This annual period of transition provides photographers with a “golden” opportunity. 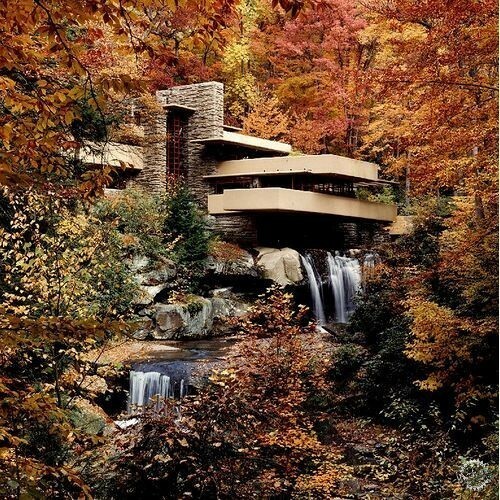 Frank Lloyd Wright’s most famous house, Fallingwater, in southwestern Pennsylvania seems made for the brief annual moment of fall foliage. Built in 1935, the now-public museum and National Historic Landmark is a textbook example of organic architecture’s pursuit of unifying art with nature. 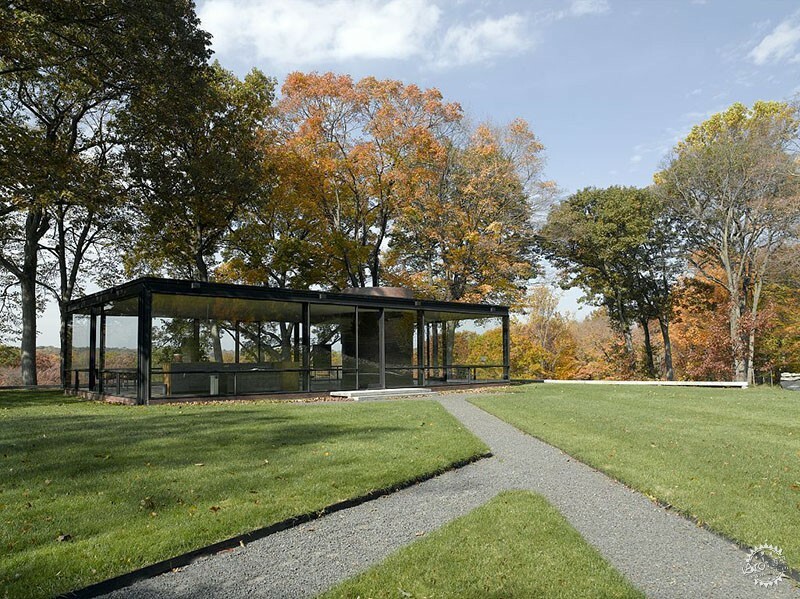 In Philip Johnson's own expansive property in New Canaan, Connecticut, the Glass House is the perfect place to experience the changing of the seasons. 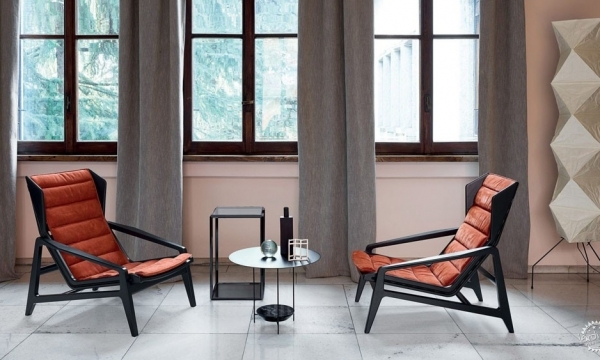 Enclosed by glass on all sides, inhabitants can relax in the most stylish furniture available while enjoying a panoramic view of the outdoors. 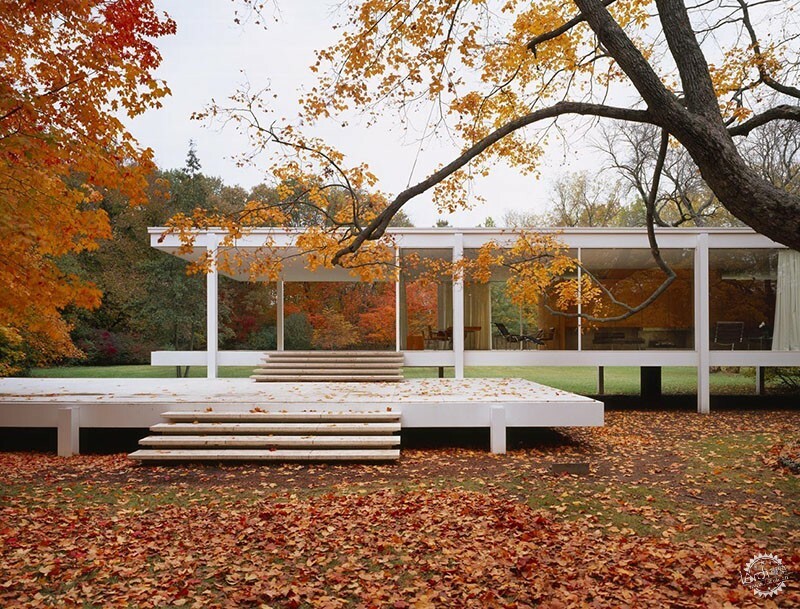 Like Philip Johnson's Glass House, the Farnsworth House is perfectly designed to bring the outside in--although, with the Fox River regularly flooding the area, sometimes you get more of the outside than you bargained for. 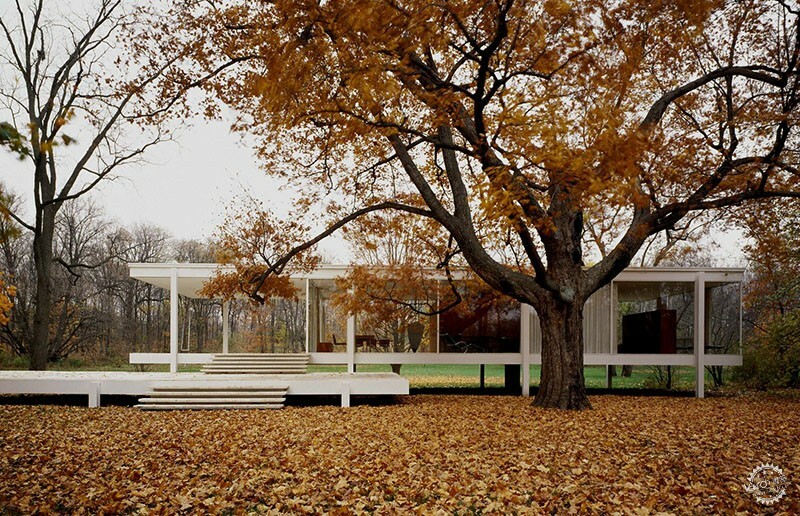 As a result, the Farnsworth is best when it's only leaves that are falling outside. 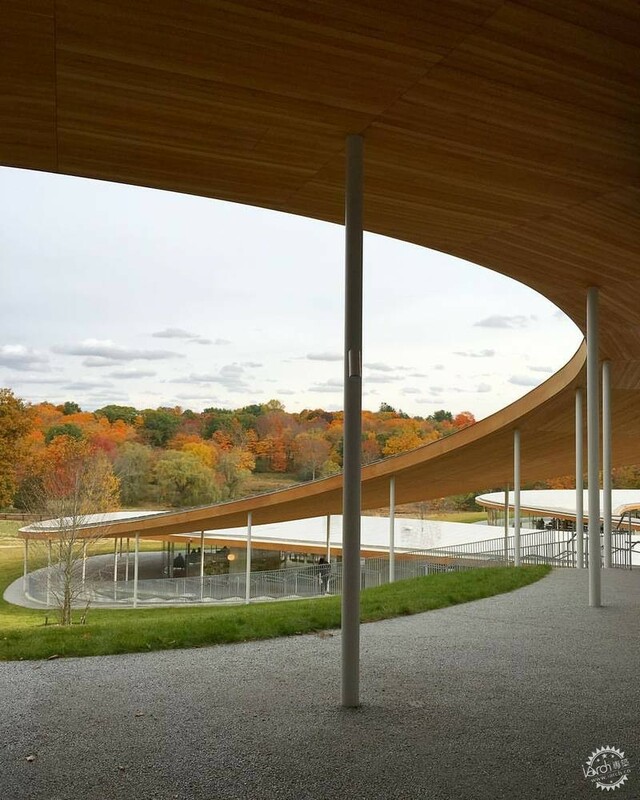 Completed in 2014, SANAA's Grace Farms hugs the landscape as it curves over rolling hills and in between groups of trees, creating a dynamic composition with the natural surroundings. 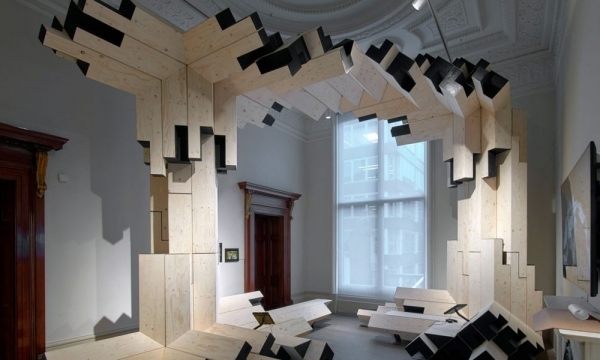 In Arkansas, E. Fay Jones' masterwork takes on both the material and characteristics of the forest, with its densely packed wooden beams mimicking the surrounding branches. 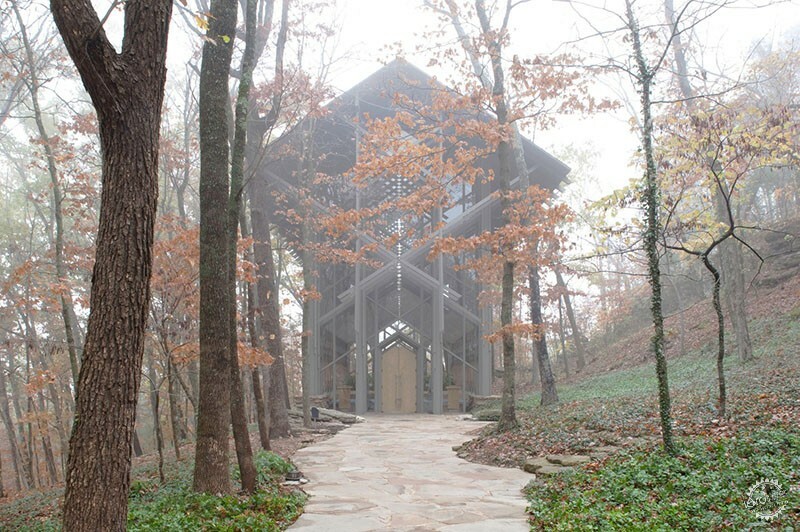 As those branches become increasingly bare, the transparency of the chapel allows it to still blend in with the now-sparse woodland.